THANK YOU SO SO MUCH!!! Your jewelry is absolutely beautiful! Your jewelry is what inspired me to walk down the aisle wearing a piece of your jewelry. Not only was I the talk of the day but so many people complemented me on it. I am wearing your white gold sapphire tear drop necklace and it is great for business casual attire. Stunning. Thank you Nikola Valenti. I absolutely love this piece of jewelry. That's one of the most beautiful necklaces I ever seen. Thank You for the beautiful necklace. Easy to use and simple instructions. Wonderful site. I will recommend it to all my friends! The pieces are so beautiful. The price can't be beat! It is just BEAUTIFUL! Can't wait for the new collection. I like the personal touch you give each of your customers. This was the best so far. LOVE IT!!! I loved the bracelet I received and I didn't have to wait very long. 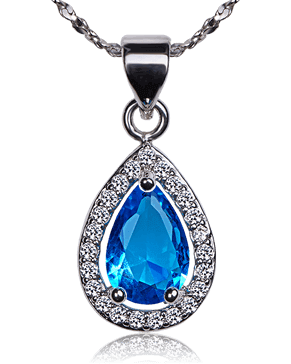 The Austrian blue jewel necklace is awesome. 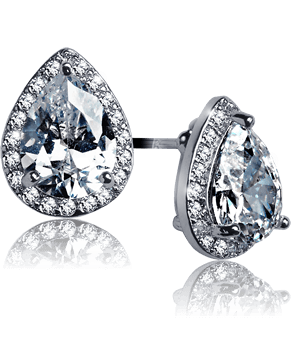 I love the waterdrop stud earrings. We're thrilled to bring you this one-of-a-kind offer from our Nikola Valenti Inspired Collection for first time visitors only. As part of this special, one-time offer to help you expand your own beautiful, inspired jewelry collection, you'll receive three jewelry pieces put together just for you based on your selections and preferences for only a $1.46 shipping & processing charge. As promised, you keep the jewelry piece you selected absolutely FREE. It's our way of saying thank you for agreeing to explore our popular Inspired Collection catalog. The other two pieces in the set are yours to explore during the 25-day, no obligation, no risk evaluation period, which starts the day you receive the jewelry pieces. If for any reason you don't like what you receive, simply visit us at https://www.nikolavalenti.com/account or contact our friendly customer service team anytime - 24 hours a day, 7 days a week, 365 days a year - before your evaluation ends to return any piece you do not want and you will not be charged for them. It is just that simple. 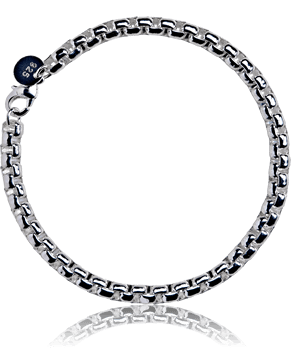 Of course, if, like most of our customers, you like all three jewelry pieces - and we know you will - then do nothing and enjoy the entire three piece jewelry set. Because we design, manufacture and sell them directly to you with no middlemen or retail overhead, each jewelry piece is only $24.99 (which, as you know, is up to 80% off the store price for similar jewelry products), conveniently billed to your payment choice on file. Remember, the jewelry piece you selected is yours to keep absolutely FREE - even if you decide to return the others. As an added benefit and to help you expand your own beautiful, inspired jewelry collection, about every seven weeks after you receive your first set you will receive another shipment of two beautiful jewelry pieces from our Inspired Collection selected specifically for you to try for just $5.96 shipping & processing. For each shipment, you will have 25 days from the day you receive them to review the unique jewelry pieces under the same terms above. Of course, you can cancel your participation in this program at anytime just by visiting the website https://www.nikolavalenti.com/account or contact our friendly customer service team. There is never any obligation and no minimum required purchase. Due to the nature of this trial offer, all charges are non-refundable and we cannot accept returns after the trial ends. We know you'll love these beautiful, one of a kind jewelry pieces as much as we do. Enjoy! The information we collect is used solely to process orders. We will NEVER sell your information or put you on any 3rd party mailing list. To help ensure your privacy, we use the most up-to-date encryption technology to keep your personal information secure. Click the Norton Secured icon to verify. We do NOT sell, trade, or otherwise share any of your personal information. You will NEVER have to worry about receiving unsolicited email for other companies by ordering from us. No one cares about or protects your privacy more than we do - no e-business, no catalog, no newspaper, no bank - no one. We hate spam! That's why we only e-mail you what you've specifically requested, and why we never share your e-mail address or use it for any other purpose. When users submit sensitive information via the site, their information is protected both online and off-line. When our order form asks users to enter sensitive information, that information is encrypted using Secure Sockets Layers (SSL) - the highest level of encryption available. All information entered into our order forms will be encrypted when you submit the information page. We automatically receive and record information from your computer and browser, including your IP Address, software and hardware attributes, and the page you request.